A damage deposit of EUR 500 is required when you book. You should be reimbursed on check-out. For more information, to check availability at this Hotel, or book a room, please see Prince Des Cimes, Arc 1950, France - Hotel Details. Prince Des Cimes is in the French ski resort of Arc 1950 and has Les Arcs, La Plagne, Val Thorens and Tignes and other ski resorts within reach for a days skiing. Prince Des Cimes has been assigned a 4 Star rating by our partner; this is an unofficial rating for ease of comparison, and you should be sure the property suits your needs before booking. Tap symbols for info. Tap for Full-Screen. This map shows accommodation for Arc 1950. To locate Hotels and Chalets elsewhere, tap a marker or select a link from the menu to switch maps. Les Arcs 1950 - appartement 6 pers. 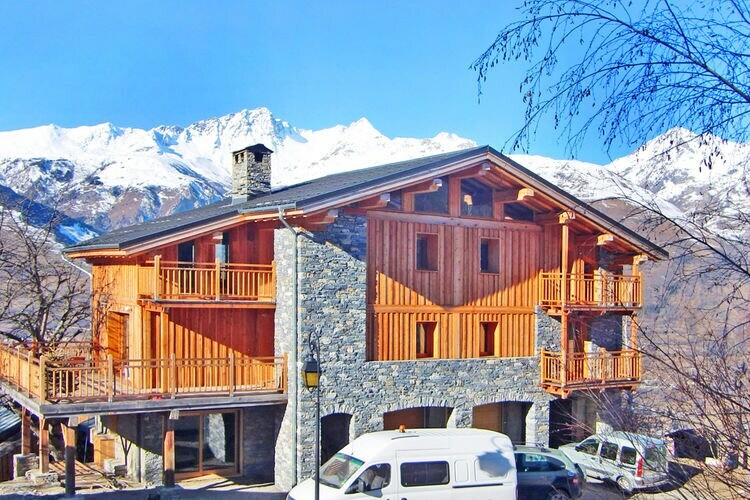 Hotels in other Ski Areas within Les Arcs. Hotels in other popular Ski Areas near Arc 1950. Ski Hire Shops in Arc 1950. For current snow conditions, see our Arc 1950 Snow Report. Common questions about Arc 1950. Note :- Ski Hotel deals for Prince Des Cimes are subject to change until booked. You must check any particular requirements directly with the Operator at the time of booking. Warning :- Snow Sports are Dangerous! Skiing, snowboarding and all winter sports involve risk of serious injury or death. You MUST confirm all information, especially snow and weather conditions, in Arc 1950 before you ski or board. You participate at your own risk.